Help us raise funds so we can raise walls for another local family in need of affordable housing. Draw Date: May 23, 2019 (need not be present to win). (Ticket sales are over as of 5:30pm May 22nd.) Thank you for supporting Habitat! Scroll down for sponsors, photo & video galleries. 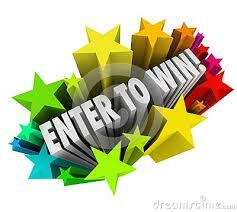 Enter to win a convertible Playhouse/Garden Shed. Proceeds will fund projects through Habitat for Humanity of Fulton County, Ohio. On April 5th & 6th, volunteers from Wauseon Machine and W.E. Care (Wauseon Machine Employee-Driven Charity) will build a playhouse/garden shed in the parking lot of your Wauseon Ace Hardware on Shoop Avenue. This 'mini-house' will be the prize in a raffle to benefit Habitat for Humanity - all funds raised will be used on our 2019 Home Project in Fulton County. Come on out on the 5th & 6th and watch the fun, as these generous groups raise these small walls so Habitat can raise the walls of our next new home project! Build starts at 9am. Location: Wauseon Ace Hardware, Shoop Avenue. Tickets will be available starting that day and sold through May 22nd, 2019. Sales Locations: This website or contact the Habitat office: 419-335-7000. All The State Bank locations in Fulton County. (Wauseon, Delta, Lyons). Any Habitat Board Member. When an order is placed, we will complete the ticket by filling in the name, address, email and phone number, and we will drop the ticket in the drawing box at the Habitat office. At the drawing, the winner will be contacted based on the name and information on the ticket. Winner must show confirmation as proof of purchase (emailed after purchase). See the 2018 Playhouse Build photo gallery! Click here to view photos of the 2018 Playhouse Build.